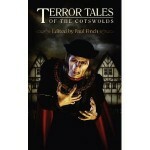 As one would expect from a cast of award winning authors and new contenders to that title, this offering from the Terror Tales series edited by Paul Finch is well worth a look. Beginning with Alison Littlewood, who sets the superior tone of most of the collection, we have ‘In The Quiet And In The Dark’ where young Steph comes from out of town to Willow Cottage, Long Compton and instantly hates it. The horrible prospect of the coming term at a new school is mitigated by a chance meeting with new friends and the fond hope of a `liaison’ with Kix, a handsome enigmatic youth who seems to take a shine to her. The young people have a strange way of talking and Steph wonders about their connection to the stone circles…. It’s a well written piece echoing many of the motifs that follow – strong, character based tales which include such delights as the flesh-eating fiend of St. John’s, the vengeful spirit of Little Lawford and the satanic murders at Meon Hill. Stuff to freeze the cockles of the horror fan’s cold heart. As a man with a fairly old fashioned taste in horror I was struck at times by the high quality of the prose which sometimes competed with the terror invoked. This may sound contradictory but there were moments when I had to do a little too much thinking for my tastes. However, the modern horror fan will have no such quibbles and there was enough variety to please the most discerning. Highlights for me were Reggie Oliver’s Charm a delightful tale of the degeneration of a Hooray Henry – impeccably told – and Thana Niveau’s ‘The Scouring’ a savage psychological drama about the White Horse Of Uffington. Thana, who never fails to inflict a suitable degree of pathos in her awful tales, is one of the best new female writers in the genre. Ramsey Campbell in ‘The Horror Under Warrendown’ and Paul Finch in ‘Bog Man’ both pack a powerful punch in tales that seem perhaps to evoke a darker sense of ancient history than some other contributors: No surprises really given their maturity and scope. John Llewellyn Probert in ‘A Taste of Honey, A Horror of Stone’ also scores a big winner as he contrives to extract the maximum possible horror from a simple piece of yellow Cotswold stone. It would be churlish to dismiss the other stories, all strongly written and conceptually perceptive. Interspersed with fascinating historical snippets of truly terrible history (I just love this stuff) there is something here for everyone. I haven’t yet read any of the other collections in this series but certainly aim to redress that.